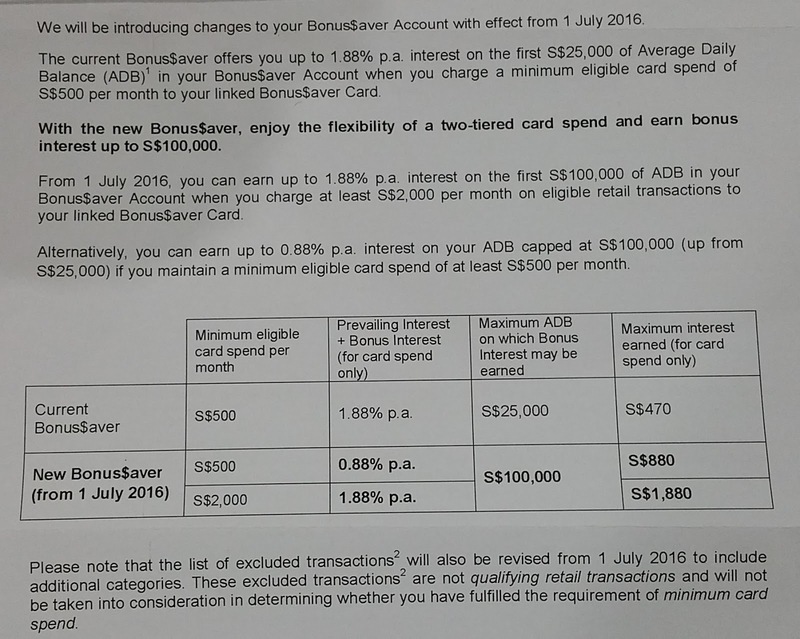 After such a “flexible” change in rates, you can expect me to terminate my account after June and move my funds into another bank with better rates such as the OCBC 360 of which I've been getting 1.75% easily. Thanks SCB for the 1.88% for the last few years. 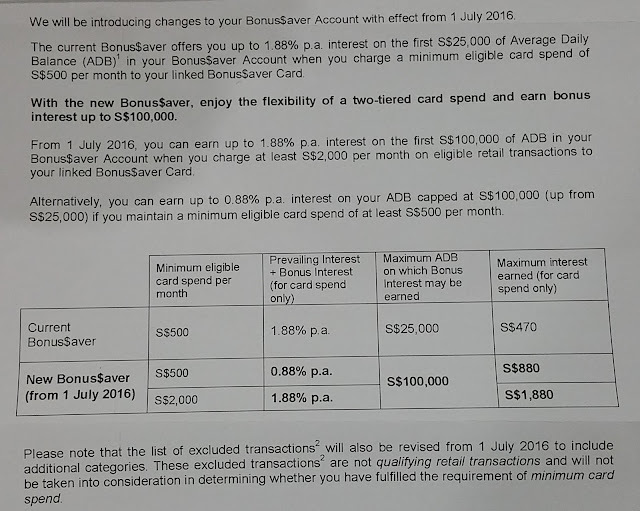 My wife also terminated her Bonus saver and we now use OCBC 360 for salary interest bonus and UOB One for credit purchase bonus. The max interest that you can earn has also increased in this account. SCB is focusing on wealthy customers. Priority customers are exempted from many of the new fees imposed on their bank accounts. The max interest did not change. The max amount for the account increased. Previously it was 1.88% for 25k, now it is still 1.88% but up to 100k. With the rate revision effect due on 1 Dec for BOC Smart Saver, OCBC 360 remains the highest interest rates with their simple and easily achievable criteria.